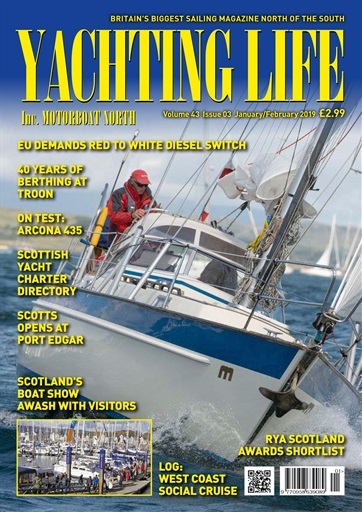 Big news in the January/February 2019 issue of Yachting Life centres on our massive, 12 colour page coverage of Scotland’s Boat Show held in autumn last year. Boat test this month is the Arcona 435, successor to the popular 430 with all the luxury you would want in a blue water cruising keelboat that is also a contender on the race course. Or how about a cruise log that takes you on a social visitation round the west coast of Scotland? 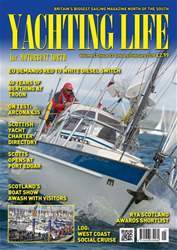 Yes, all that and more in this Yachting Life edition, with 84 pages created digitally in Scotland and available anywhere on the planet.